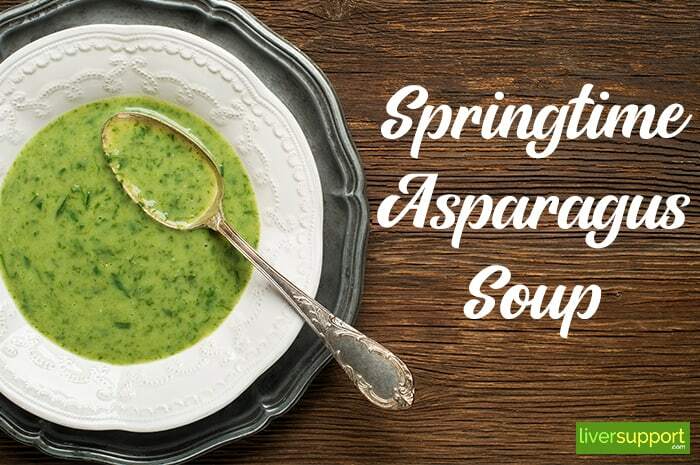 Celebrate springtime’s finest vegetable in a soup packed with nutrient-rich asparagus! Cut the asparagus tips off, finely chop and set aside. Cut the asparagus stalks into 1/2″ pieces. In a pot over medium heat, add 2 cups of vegetable stock, asparagus, leeks, onions, potatoes and celery. Cover and simmer until asparagus is tender, approximately 15 minutes. Pour the soup into a blender or food processor, add flour and process until very smooth. Pour the blended soup back into the pot and add the remaining vegetable stock, nutmeg and reserved asparagus tips. Add salt and pepper to taste. Cover and simmer, stirring occasionally, for 4 minutes or until the tips are tender and bright green.